io Environmental Solutions R&D CI at Istanbul Turkey has just become Silver Member of the Watershare® family. 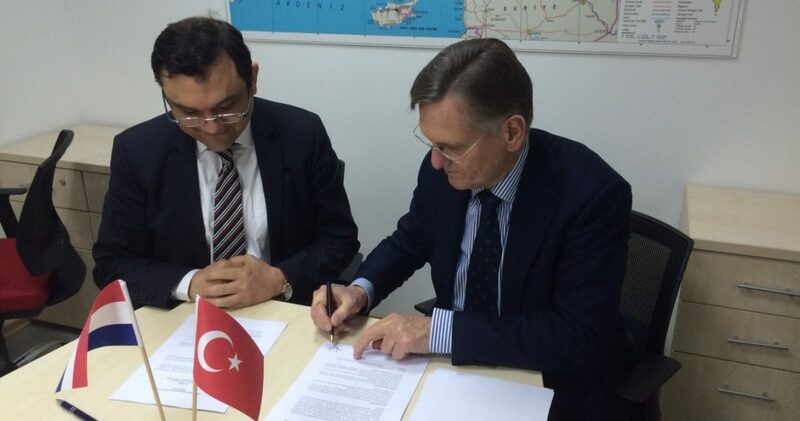 The agreement was signed today by managing partner and ITU professor dr. Erdem Görgün and KWR CEO prof.dr. Wim van Vierssen. KWR is founding father of Watershare®. Environmental Solutions was established in 2004 at the Arı Technopark of the İstanbul Technical University. With 30 engineers and 16 academics, io Solutions is aiming to produce smart solutions through coordination among different disciplines in the fields of water/wastewater management, solid waste management, river basin management, and environmental due diligence.